As we trek ever deeper into the 21st century, medical procedures and treatments continue to improve. As a result, many individuals are living longer, healthy lives; however, the human body still begins to naturally shut down despite these advancements. As a result, many seniors are left in need of care services that help them get through their days. At Assisting Hands Home Care, we provide a variety of elderly care services to individuals in North Miami, FL, to address this phenomenon. All of our caregivers are highly trained and qualified to provide a variety of home-care services. This is great for individuals that need either part-time or full-time care. From driving and transportation services to in-home assistance, we will create a customized plan for you or your loved one. As an added blanket of security, we require that all of our caregivers prove their sufficiency in CPR and first aid. They must also pass a background check before helping any clients. To learn more, or to schedule an appointment, simply contact our representatives at (305) 425-1835. At Assisting Hands Home Care, we provide a variety of senior home care services to those in need in North Miami, FL. Whether you are in need of transportation services, memory care, or help around the house, our caregivers are more than happy to help. We customize our services to meet your unique needs, which means we can service you on a part-time or full-time basis. Residents of North Miami, FL, can count on industry-leading elderly care services when they work with us here at Assisting Hands Home Care. We are a full-service senior care provider, which means we can assist you with any of your needs. We help with anything from non-medical and transportation services to in-home cooking and cleaning. If you or a loved one needs assistance with day to day activities, we encourage you to give us a call. Dementia and Alzheimer’s disease affect millions of seniors across the United States. While there is no official cure yet, we can limit the negative effects through our memory care services here at Assisting Hands Home Care. Identifying memory loss is the first step in learning to manage it. Once the problem has been identified, we can provide mental stimulation, social interaction, and physical activities to be proactive. We offer these services to those in need in North Miami, FL. Hospice care is one of the last things that any family wants to talk about; however, it is important to do so while all parties involved are mentally aware of the consequences. Having a plan beforehand makes the process easier and smoother to implement. At Assisting Hands Home Care, we provide complete hospice care services to those in need in North Miami, FL. We tailor these services to the specific requirements of the individual in question. Recovering from a surgery can be difficult, and it is increasingly so as we age. This is why we provide post-operative care here at Assisting Hands Home Care. We help with paperwork, transportation, and various in-home tasks that become difficult or impossible following a surgery. At the end of the day, it is our ultimate goal to improve your quality of life and help you make a full recovery. We offer these services to those in need in North Miami, FL. Family members of elderly or disabled individuals understand how dangerous nights can be. Getting into and out of bed to use the restroom is a time when many accidents occur. Similarly, if a medical emergency happens, it pays to have somebody immediately on the scene. We help with all of this and more through our overnight care services here at Assisting Hands Home Care. If you or a loved one in North Miami, FL, could benefit from these services, we encourage you to give us a call. As individuals age, their minds and bodies begin to slow down. This makes it difficult or impossible to do day to day tasks. 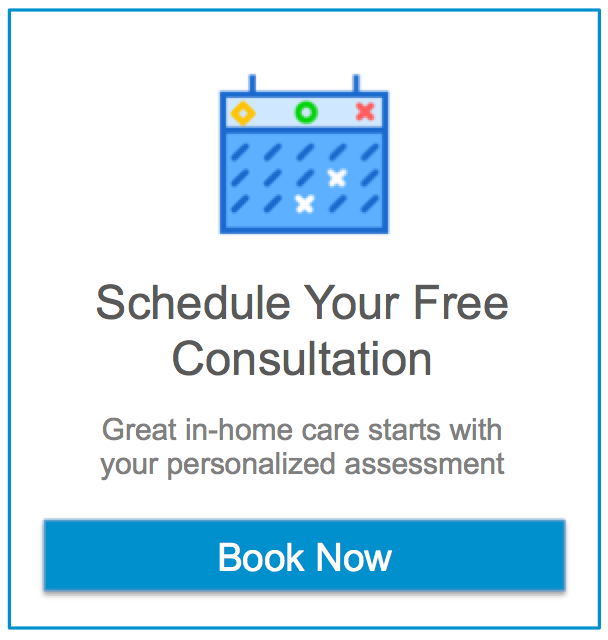 To help you through this time, we provide live-in care services that are customizable based on your needs. If you would like one caregiver to live in the home 24/7, we can arrange it. If you would like alternating caregivers for more alert care at all hours of the day, we can provide that as well. We offer these services to those in need in North Miami, FL. Informal caregiving services (those performed by loved ones of aging individuals) are extremely common in the United States. These situations often arise when mothers or fathers of adults can no longer care for themselves adequately. The problem is that the stress of being a family caregiver can cause a variety of negative effects for those providing the care. At Assisting Hands Home Care, we offer respite care services to Residents of North Miami, FL, in order to give them a much-needed break. At Assisting Hands Home Care, we provide personal care and companion services to seniors in the North Miami, FL, area. Aging is never easy, and it can be difficult to cope with the loss of independence as day to day tasks become nearly impossible to complete. Through our services, we will assist with these routine tasks, and provide valuable companionship along the way. We take relationships very seriously, and truly want to get to know our clients. We believe this translates to more effective care services. It is not always easy to know what exactly is needed when you or a loved one begins to lose the ability to complete day to day tasks independently. At Assisting Hands Home Care, we offer residents of North Miami, FL, coordination of care services to help with this process. We customize our approach based on our clients’ needs, utilize any beneficial programs they qualify for, and tailor a specific caregiving services program. When it comes to receiving caregiving services, you generally have two options: work with a home care agency or hire an individual caregiver directly. While either can work depending on your unique requirements, there are clear advantages associated with using an agency. For example, at Assisting Hands Home Care, all of our caregivers are trained in a number of senior care services, CPR, and first aid. We handle any required rescheduling and can offer greater financial flexibility. When you hire an individual caregiver, you will need to worry about finding a substitute when they are not available and may need to hire and fire several until you find an ideal fit. We encourage residents of North Miami, FL, to give us a call to learn more. For any of the following services listed above, contact Assisting Hands Home Care in the North Miami, FL area at (305) 425-1835.